There is an unseen problem in a lot of homes in America. 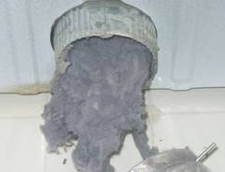 Dryer vents don't sound scarey, but they should. More house fires are caused by dryer vents than fireplaces. The Consumer Product Safety Commision estimates that over 15,500 dryer related fires occur each year. The most frequent strating point for these fires was the dryer vent area. A properly working dryer has hot moist air in the dryer. The fan removes this moist air and pushes it out of the dryer and into the dryer vent, then it exits the house. Even if you clean your lint trap everytime you run a load of clothes, only 75% of the lint is caught. The rest goes with the hot air into the dryer vent. Lint that exits out with the moist air will stick to the inside of the vent pipe. Over time this lint builds up and restricts the airflow from your dryer. 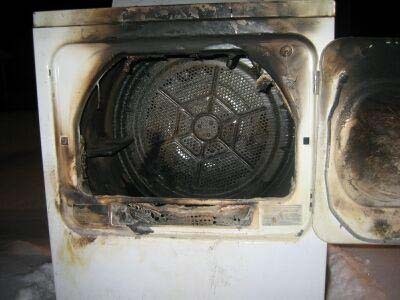 This is a problem for two reasons, your dryer has to work harder to dry the clothes and over time wears out, and the lint is highly combustible and near to a heating element - therefore a serious fire risk. To see what we mean, in a safe place take a small piece of lint and touch a lit match to it. See how quickly it ignites? Now imagine that inside yor walls. Basically, the dryer overheats, the lint catches fire and the fire is then fueled by nearby combustibles. The worst is that these fires can smolder for hours going unnoticed long after you've gone to bed or left the house. To know if your dryer is at risk you should ask yourself, does it take more than 30-45 minutes to dry a load of clothes? Does the dryer feel hot to the touch even though your jeans are still damp? Does the laundry room feel unusually warm? Then it's not the dryer, it's your dryer vent. Removing the lint will make you r dryer run cheaper, since it will take less energy to dry your clothes. The dryer itself will last longer since it is not being stressed by higher operating temperatures. Your family will be safer with this hazard removed from your house. The best bet is to get your dryer vent on a cleaning schedule and have your dryer vent cleaned every year. Click here to read what the National Fire Protection Association says about dryer vent safety. 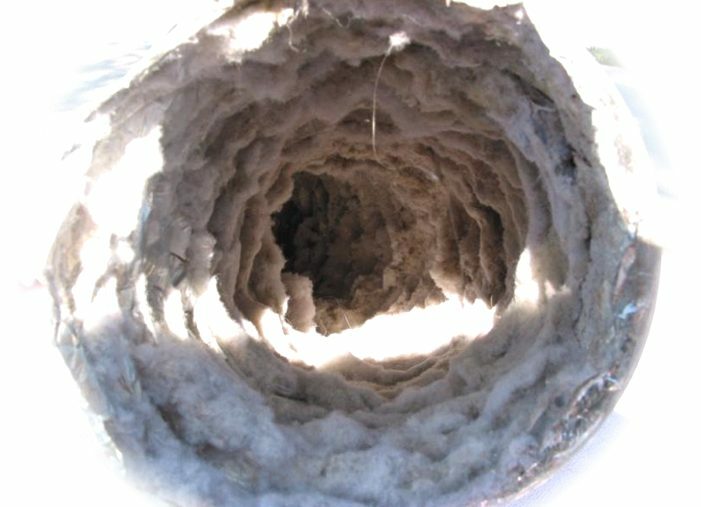 Click here to get a coupon for a disount on your dryer vent cleaning with any chimney service.